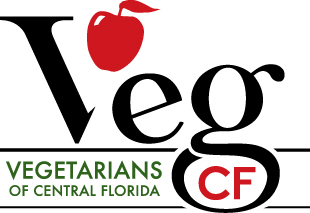 Vegetarians of Central Florida, Inc. (VegCF) is a nonprofit corporation founded in fall 2003. 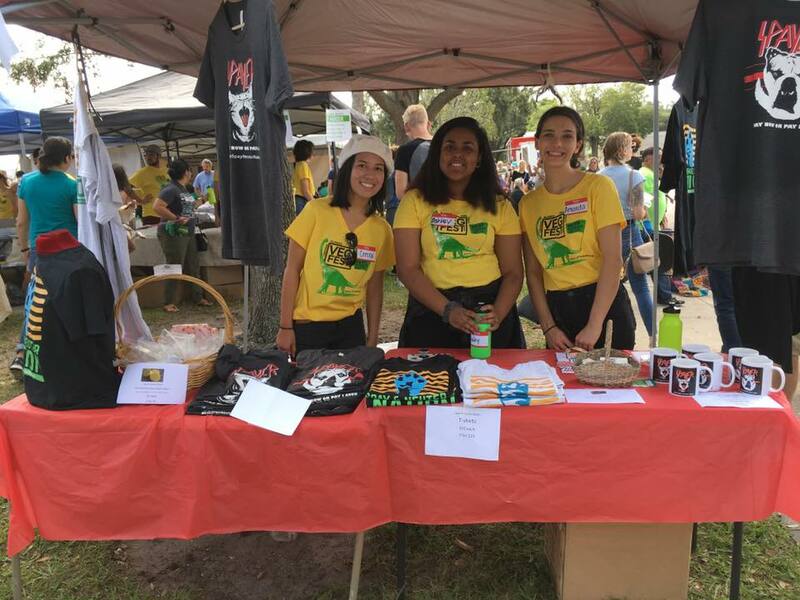 The goal of VegCF is to encourage and support vegetarians and vegans in Central Florida. We are vegetarians for human health, human rights, animal rights, environmental, simple living, spiritual, religious, and cultural reasons. We welcome non-vegetarians, who we like to consider potential vegetarians. We hold regular events, such as restaurant visits, potlucks, picnics, outdoor activities, speakers, and humane education. 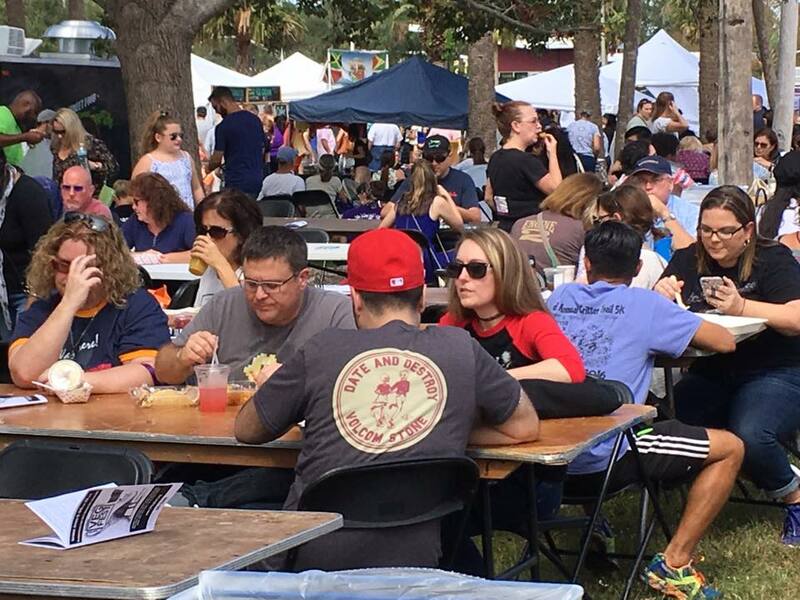 We also organize Central Florida Veg Fest in October and Central Florida Earth Day in April. We hope that you will get to know us and join VegCF! Membership is free! Members receive discounts and other benefits, including many free events. At some events we may charge a fee or ask for a donation simply to cover a portion of the costs (VegCF never profits and usually loses money at events that seek a fee or donation). All of the money collected at the monthly potluck is given to the First Unitarian Church in lieu of a rental fee for the event. VegCF does not otherwise solicit or accept personal donations. If you have money to give, please support the local animal rescue groups that are listed on the Animal Activists of Central Florida website. Please go to the Home page to join VegCF and receive information about group events and news. Please tell your friends, vegetarian and non-vegetarian alike, about VegCF. If you have any questions or comments about VegCF, please e-mail us at info@VegCF.org or call us at (321) 331-1859. Jenna is an event coordinator, humane educator, and solutionary (a solution-oriented individual who consistently endeavors to create healthy, compassionate, and regenerative communities). Making the decision to be vegetarian at the age of 5, Jenna has always been motivated by the reward of making the world a better place. At 14 years old, Jenna initiated her first animal education program at a unique sanctuary, the same year she began college and adopted a vegan lifestyle. She has a B.S. degree in Integrative Biology, a Master of Arts degree in Humane Education, and has spent over 10 years researching the solutions to and consequences of problematic cultural eating behaviors. Jenna is an ambassador for the movement of transforming humans from a problematic species to a solutionary species and works for the non-profit organization, Solutionary Events. Larry is a certified mediator and a consultant, with a doctorate in Educational Leadership (and several other degrees) from UCF. He is the co-founder of VegCF and has attended nearly every meetup since 2003. He has been vegan for 39 years and active in animal rights causes for 28 years. His favorite thing has been organizing VegCF's vegan festivals, Central Florida Veg Fest and Central Florida Earth Day since 2005. He likes to do mud runs and triathlons, go to concerts, play trivia, and travel for vegan food. He is a longtime resident of Orlando, where he lives with his cats. Annabelle currently works for Seminole County and received her Bachelor of Science in May 2016 from the University of Central Florida in Environmental Studies. She has always had a love for the environment and wildlife, and has known since a child that she would use that passion to make positive change in the world. This was her main motive for becoming a vegetarian at the age of 7 and then 8 years later committing to the vegan lifestyle. Her core passions are bringing awareness to and helping individuals grow their compassion, traveling the world to explore life’s beautiful gifts, and climbing. Annabelle is the volunteer coordinator for Central Florida Veg Fest and Central Florida Earth Day. Channing loves observing and learning from the natural world, fostering an understanding and connection with plants, animals, ecosystems, and people. Her educational and experiential background is in psychology as well as exceptional, alternative, and holistic education. With lifelong dreams of becoming an environmentalist, psychologist, educator, writer, and artist, she is in the process of merging her passions into a uniquely integrated lifestyle and career. Her esemplastic focus is to help people heal the disconnects they experience from their essential nature and the natural world, so they may find freedom from the illusion of existing in an isolated anthrosphere. She believes in supporting those who desire to transition to a vegan, compassionate lifestyle with patient understanding and support of unique psychological challenges. Her favorite animals include tigers, sloths, quokkas, frogs, tardigrades, and blobfish. Channing is the kids zone coordinator for Central Florida Veg Fest and Central Florida Earth Day. Jessi is a marketing & events manager, with a degree in Organizational Communication from Rollins College, and three certificates from Rollins' Philanthropy Center. She also co-founded Family Forever Animal Foundation, and is involved with several other animal-protection organizations. She loves yoga, going to the dog park, cooking vegan for friends & family, and people who TNR (trap-neuter-return) the cats in their neighborhoods! She has been a member of VegCF since 2007, and served on the Board from 2009-2016. She loves to mentor aspiring vegetarians and vegans. Thanks also to our past Board members for their support and hard work.